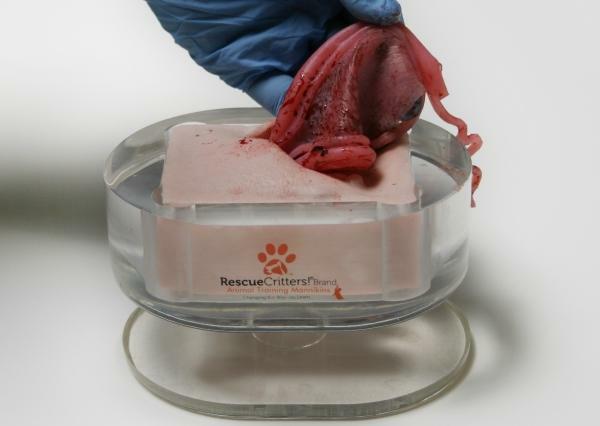 Rescue Critters' canine ovariohysterectomy (spay) model features a very realistic female reproductive organ, including the region of cervix, uterine body, uterine horns, ovaries, ovarian arteries and veins, suspensory ligaments and membrane for realism. Also embedded in the model are the bladder and ureters and colon. 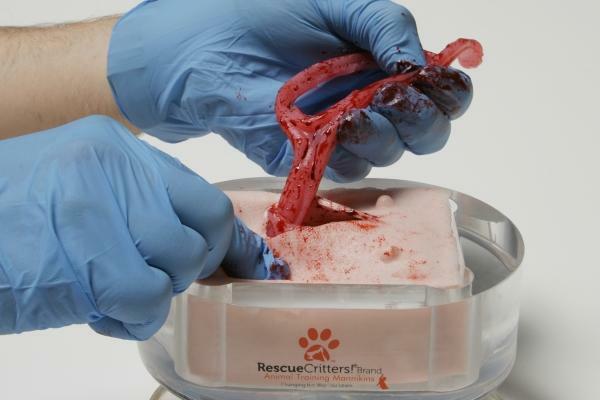 The model also helps trainees practice their suturing skills on the abdominal wall musculature and skin layer upon completion of the ovariohysterectomy procedure. 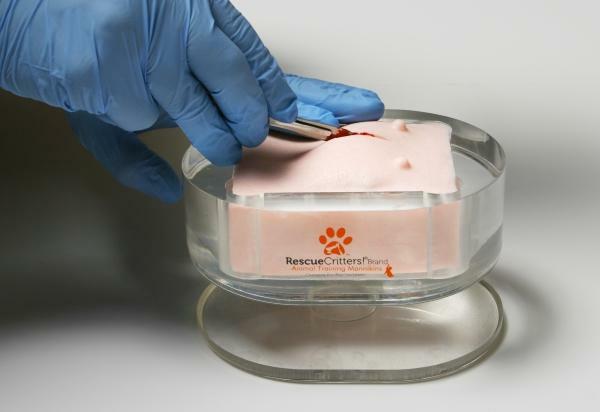 Included in this set are one canine ovariohysterectomy model and acrylic holder. Replacement models may be purchased at a bulk discount price.